With Valentine's Day quickly approaching, the staff at Birchbox got busy creating the perfect Valentine’s Day beauty product and gift guide from its customer favorites. Offering a wide range of options, at the Birchbox store, you’re bound to find something perfect and unique for him or her … or even yourself! Color Club - Fiesta Collection ($8). Mamba and Flamingo are both daring and love-inspired hues - perfect for your Valentine's Day date or a fun night out with the girls! Cynthia Rowley Beauty Eyeshadow Palette - No.1 ($24) Cynthia Rowley’s exclusive eye shadow palette contains five lustrous shades to take you from day to night—and everywhere in between. Mally Beauty 5 Piece Lip Magnifier Library ($50). 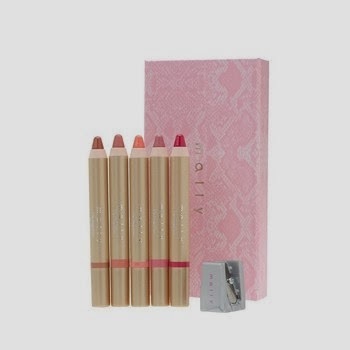 Play up your date-night frock with one of these gorgeous and versatile lip pencils, all wrapped in a pretty pink box. 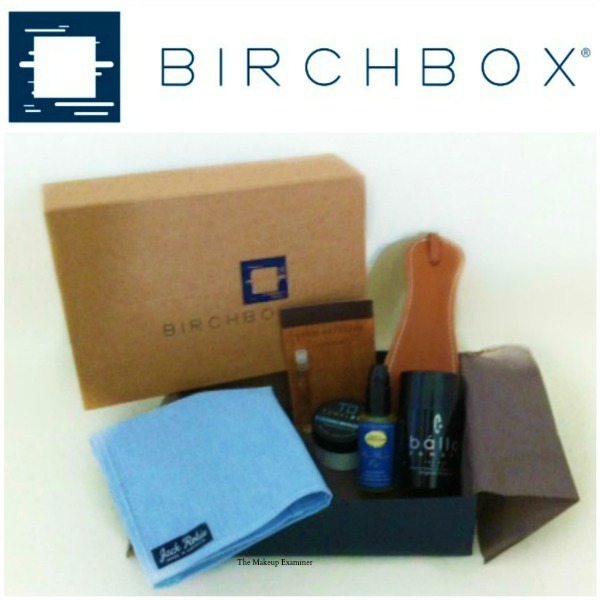 Birchbox For Men - This is a TME favorite, as it is the perfect gift … period! What guy wouldn’t want to receive a monthly lifestyle box filled with new and super unique items that are just for him? 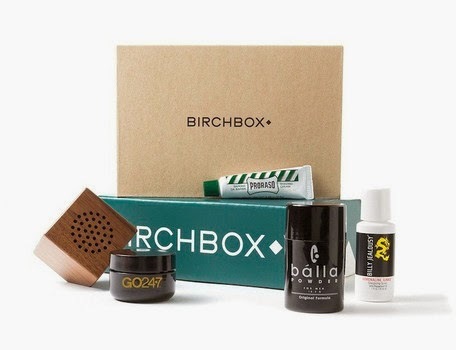 Birchbox For Men - $60 for 3 months, $110 for 6 months, $195 for 1 year. Birchbox For Her - Another TME favorite! A beauty box subscription is one that will remind her of you month after month. Birchbox For Her - $30 for 3 months, $60 for 6 months, $110 for 1 year. All products can be found at Birchbox! 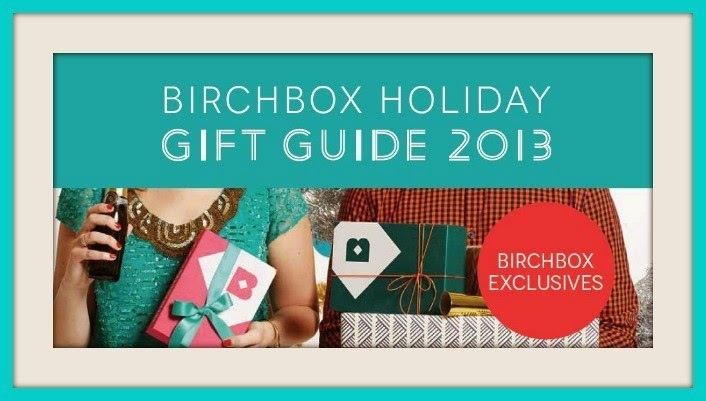 Birchbox announced today Nov. 4, the launch of their Holiday 2013 Gift Guide and “one-stop” shopping for everyone on your list. The gift guide is filled with Birchbox’s top picks for this holiday season, and having had a sneak peek prior to the announcement, The Makeup Examiner had to share this holiday gift guide with readers as part of TME’s holiday gifting suggestions. Beauty and lifestyle brands are offering holiday gift guides not only for the obvious promotions of their wares, but also for the convenience of consumers. The fact is that we’ve become incredibly busy and it makes perfect sense to utilize brand suggestions, especially when the brand (like Birchbox) offers something for everyone on our holiday shopping list. Birchbox’s Holiday 2013 Gift Guide has cleverly been broken down into categories like the obvious “Gifts For Him and Gifts For Her,” but goes even further with specific categories like, “For The Food Lover” and “For The Techie” plus the option to purchase the perfect “one-size-fits-all” giftcards ranging from $10 to $100. 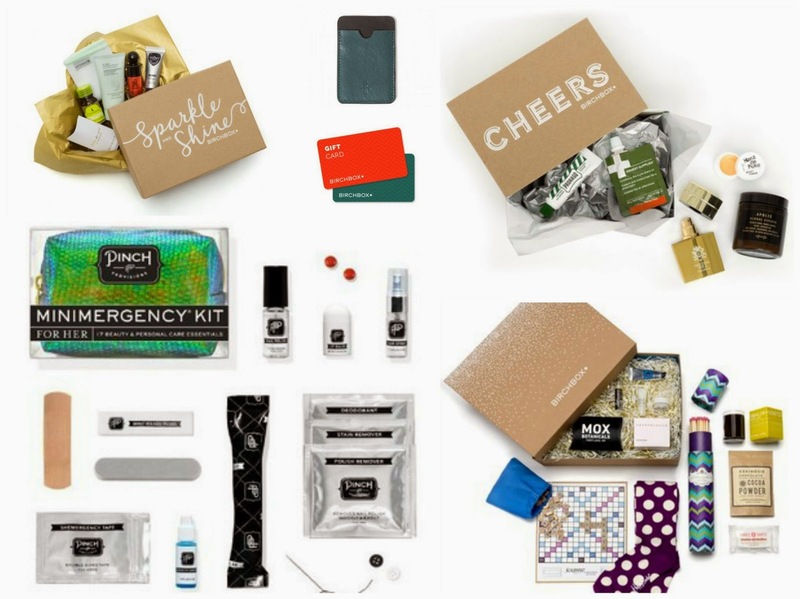 Within the Holiday 2013 Gift Guide are exclusive offerings like the Birchbox Snow Day box ($39), for the home, that is filled with the essentials to keep you busy and makes a perfect hostess gift. And, of course, exclusive gift sets for women from Suki, Number 4 and Twistband, Ursa Major, and GO247. Since The Makeup Examiner’s discovery of the plethora of brands offering subscription beauty and lifestyle boxes, TME votes subscription boxes as the best gifts to give and one that will be remembered all year long. Speaking to the Birchbox brand, perusing the brand’s Holiday Gift Shop lends to lots of great ideas for unique gifting including a great go-to gift of a yearly subscription, which is $110 for the Birchbox Woman and $195 for the Birchbox Man that features brands like Ernest Supplies, Proraso, English Laundry, Hanz de Fuko, and Apolis. Readers can check out the holiday offerings at the Birchbox Holiday Gift Shop. Birchbox announced June 14 that the brand has partnered with USA Networks to curate “Suits” inspired boxes for the Birchbox Man and customized product picks inside Birchboxes for women. The partnership will combine entertainment, fashion, beauty, and sophistication to the specially designed boxes. The partnership will mark a first for Birchbox, as it leads to a fully integrated, multi-platform campaign that will include a series of exclusive, behind-the-scenes video interviews from cast members, live-tweeting events, and contests. All of which will occur throughout season three. The men’s box will ship to existing Birchbox Man subscribers on June 25, and the women’s box will follow on July 10. 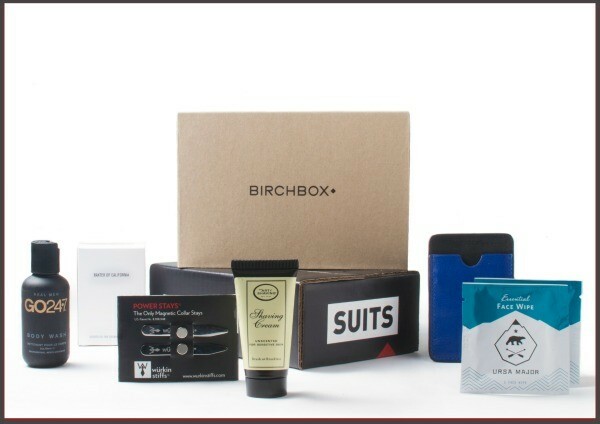 New subscribers to Birchbox Man who sign up by July 20 will receive the “Suits” Box. Season three of “Suits” premieres on USA at 10 p.m. on July 16.